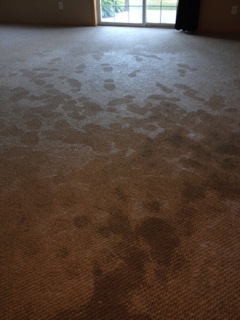 Water and/or smoke damage to carpets and upholstery gets worse over time if left unresolved. Anytime Restoration provides immediate and professional restoration of your residential or commercial carpeting and upholstery. Anytime Restoration gets you back in business quickly. Anytime Restoration has been cleaning carpets since 1991. Don't put yourself at risk! Damaged carpet and upholstery may contain toxic or hazardous contaminants. Use caution when moving anything wet. Wet materials are heavy. When disaster strikes, call Anytime Restoration to get your life back on track. Call (612) 254-9542 for a free estimate. Anytime Restoration will clean your carpets and upholstered items quickly, safely, and professionally. We use environmentally-friendly antimicrobial treatments to kill bacteria, fungi, and mildew. Anytime Restoration has been restoring carpet since 1991.